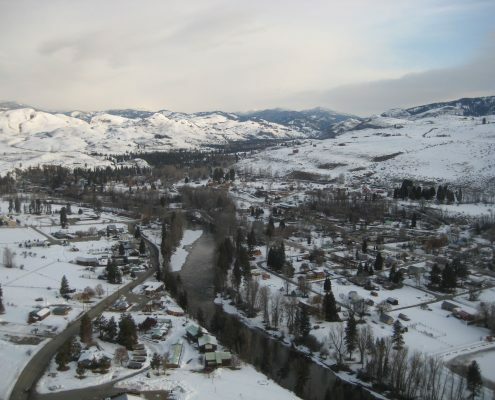 For more than 30 years, we have enjoyed flying over the Methow Valley and the old frontier town of Winthrop. We started just flying there for ourselves. But when some of our passengers heard what we were up to, they wanted to be a part of it…so, welcome to our “working vacation,” the Winthrop Weekend. This event only happens once per year–the first full weekend in March (when Friday is in March, not just Sat/ Sunday). We take a $100.00 per person deposit to hold your reservation. You are welcome to send this in at any time, although the trip may fill up by Christmas, as space for this event is very limited. The balance is due by January 15. When you aren’t flying, there are plenty of other activities available–snowmobile rentals, cross-country skiing, shopping, and great restaurants. Join us and experience a true “flight of fancy,” and treasure your memories forever. This very exclusive weekend getaway includes the following: Two nights’ stay at the Sun Mountain Lodge, and a balloon ride over the snow-covered Methow Valley. 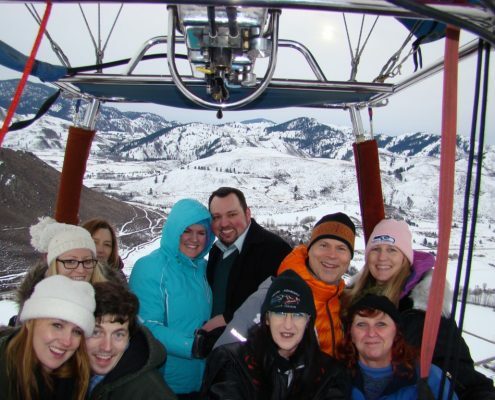 Sun Mountain Lodge is one of the finest resorts in the state, and these are some of the best flights we do all year. It’s definitely worth the drive! The rate is approximately $350.00 per person inclusive, based on double occupancy, and is worth every penny (the actual rate will be determined by the number of passengers participating in the event)! Of course, the flights are weather permitting, but if the weather doesn’t allow for your flight, then we’ll issue you a certificate good for a flight in our home valley, good for the following year. Either way you can’t miss! 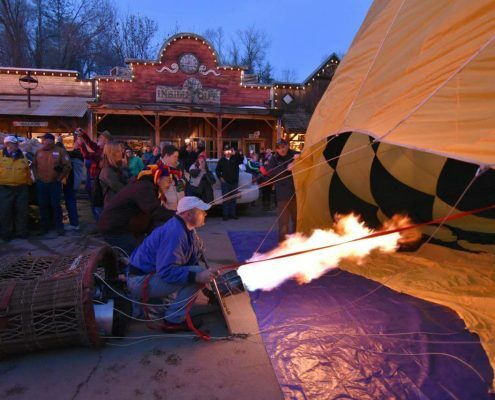 Winthrop is a great town to visit, even without the balloon ride.